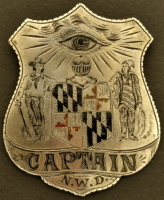 Gold shooting badge, enameled McMahon / Range / 1879. M.N. Laufenburg with a combined high score of 170. Maher and Klose were tied for 2nd with a score of 169. 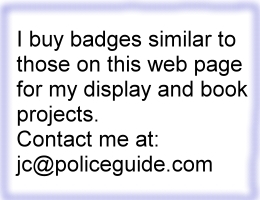 Pictured in the book, California’s Best by Whitherell on page 27. 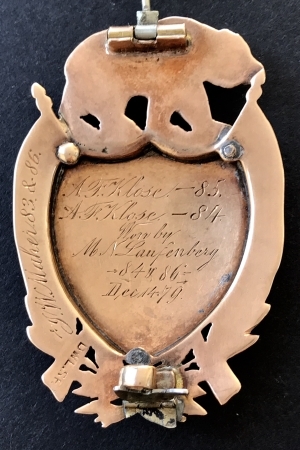 Made by San Francisco Jeweler D. W. Laird. Names on back are of the winners and their high scores. 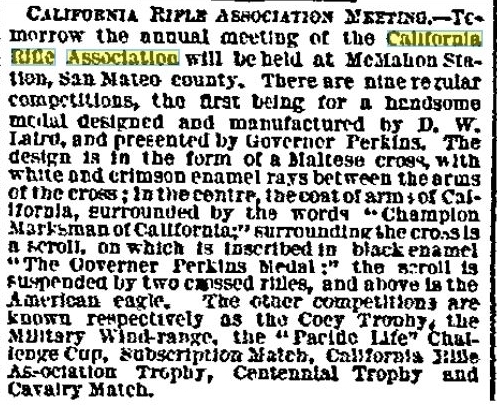 All of the winners as well as the badge maker were members of the California Rifle Association and members of the California National Guard. The newspaper article below shows a listing of the Special Policemen appointed by the San Francisco Board of Police Commissioners in August of 1878. Towards the bottom can be seen the name of D. W. Laird for the National Guard. 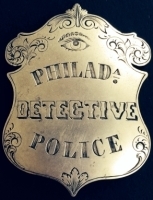 Laird was a Major and officiated at events and shooting matches. 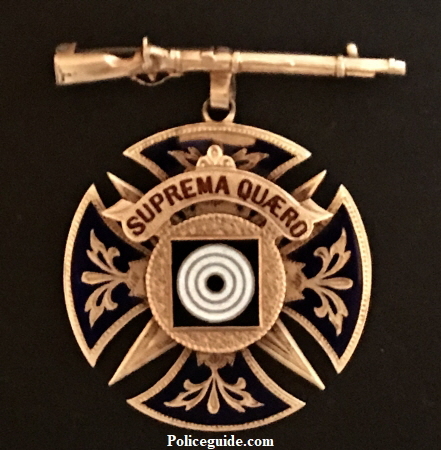 Being a Special Policeman must have come in handy and as a prominent jeweler in the City most likely allowed him to legally carry a weapon. Ninety was a perfect score. McMahon Station in San Mateo County appears to have been owned by the Southern Pacific Railroad. 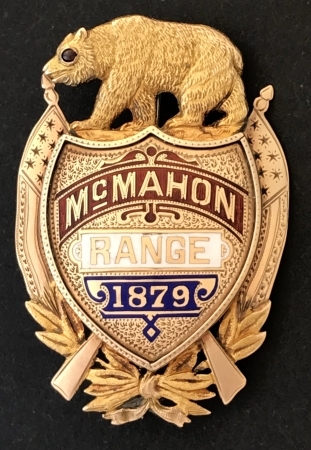 Research continues to determine if they sponsered the McMahon badge. The article to the left shows they supported the tournaments. 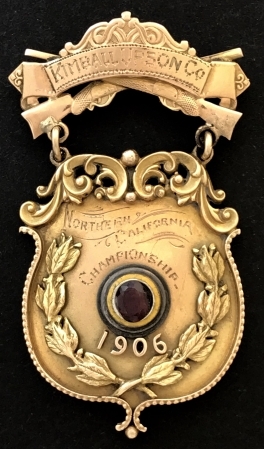 Gold shooting medal presented by a Sacramento merchant Kimball & Son Co. in 1906 at the Northern California Championship shooting tournament. 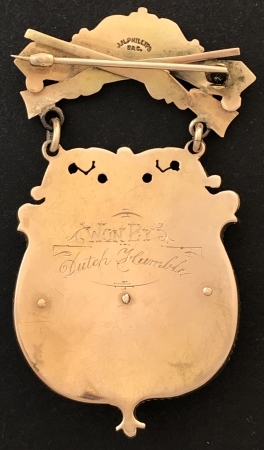 Made by San Francisco Jeweler D. W. Laird.